How is this junction box intended to be used? What is the intended use of the two brass colored busbars versus the three steel colored busbars? What is the intended use of the straight busbar in the middle versus those curved busbars on the periphery? neutral and ground vs three phases. Note the "N" and ground-symbol moulded on the plastic base. Not the answer you're looking for? Browse other questions tagged electrical electrical-panel junction-box or ask your own question. 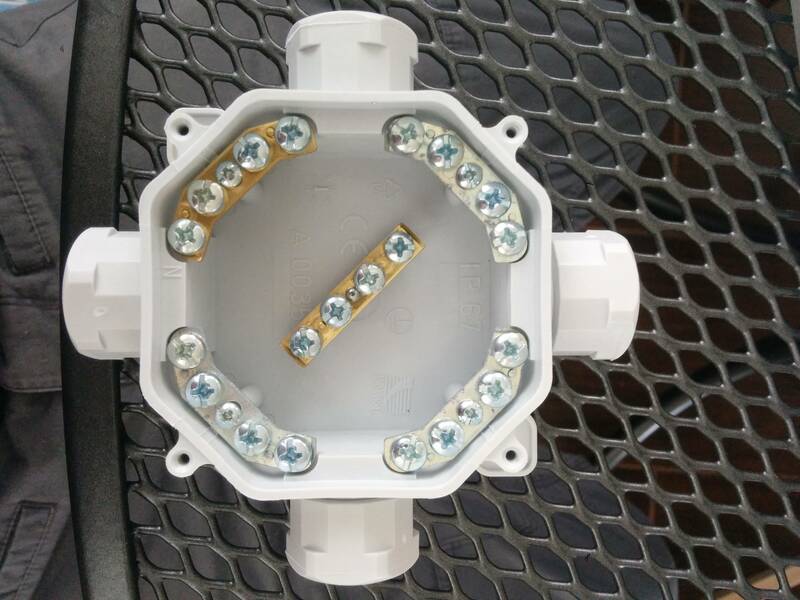 How do I install a junction box with NM-clamps? What type of junction box cover do I need? Do metal junction boxes used solely as pull boxes need to be grounded? Can I add a second junction box to house a doorbell transformer? How many splices can a junction box contain?